That sauce looks great. You have me curious about Mexican Mint now. I'll have to see if I can find it up here. Have a great week! The sauce looks wonderful. Great ingredients! Everyone else is right. The color of that sauce is awesome. Looks packed with flavor. i've been wanting to try making my own mole for awhile now. i never would have thought to pair it with salmon. this looks delicious. 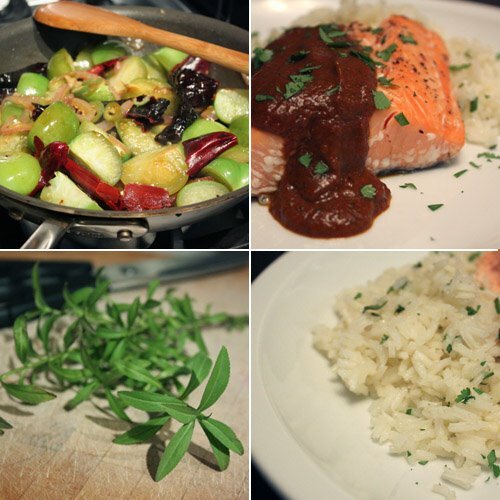 you can do no wrong with salmon, in my book - that looks so fat and succulent. 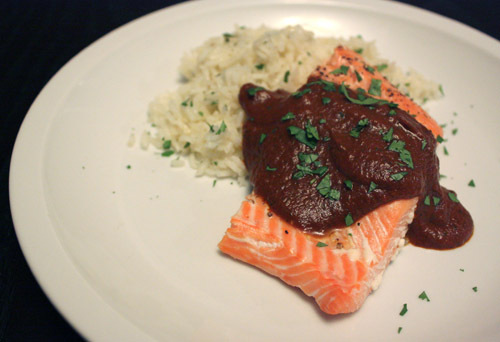 The mole sauce looks amazing!! I'm a huge salmon fan. You don't see it much in tex mex though. :Looks good to me! Very interesting and good looking sauce. The meal looks very light and appetizing. what a great combination. Sounds delicious. 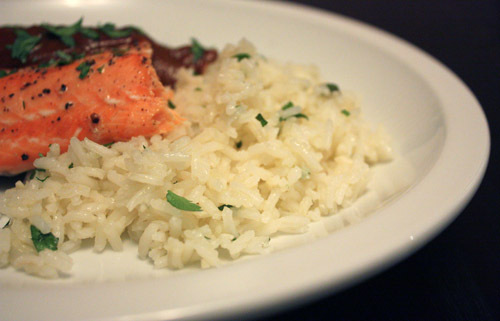 That Tex-Mex salmon sure sounds good. One of my favorite things to do with left over salmon is to make some fish tacos and wash it down with a cerveza!